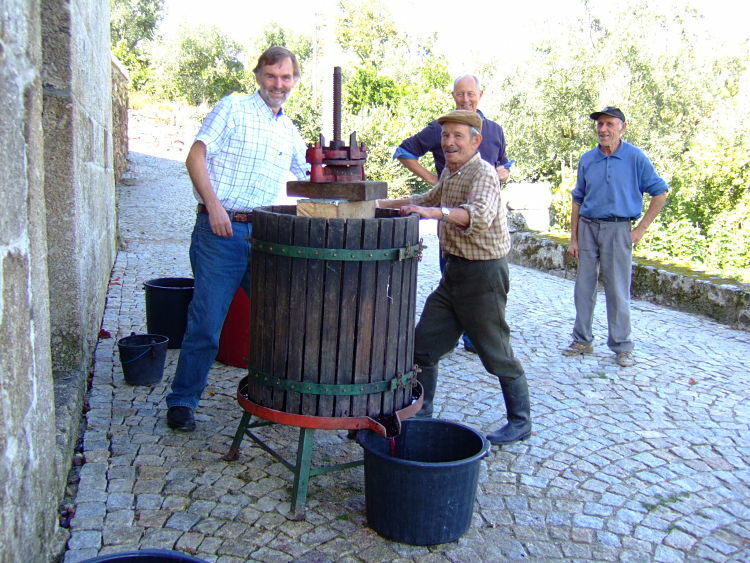 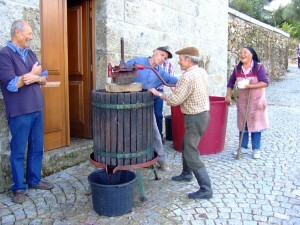 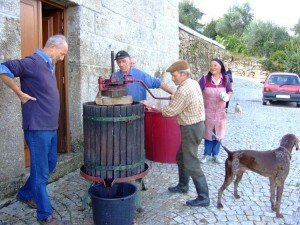 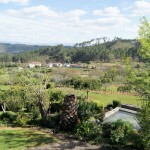 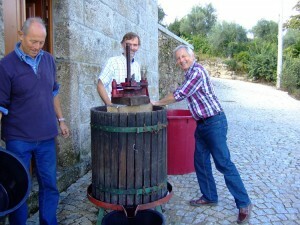 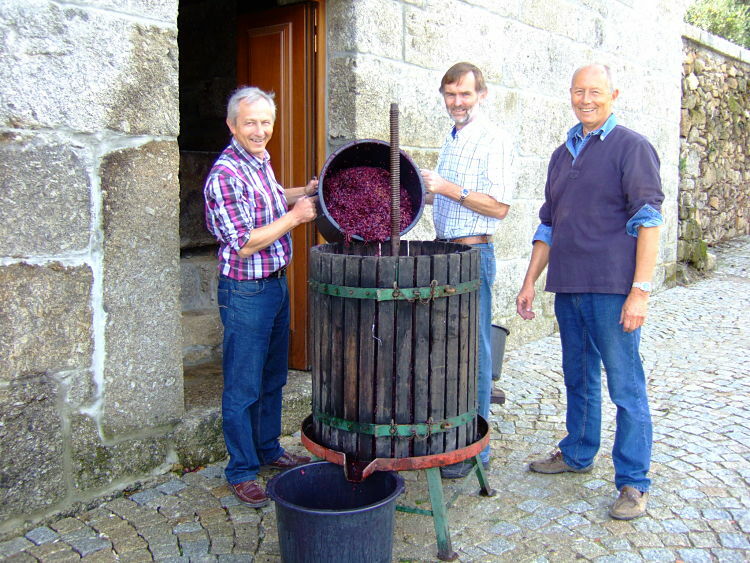 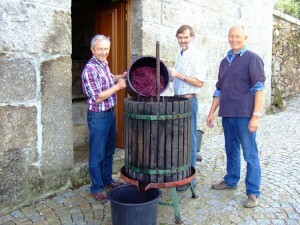 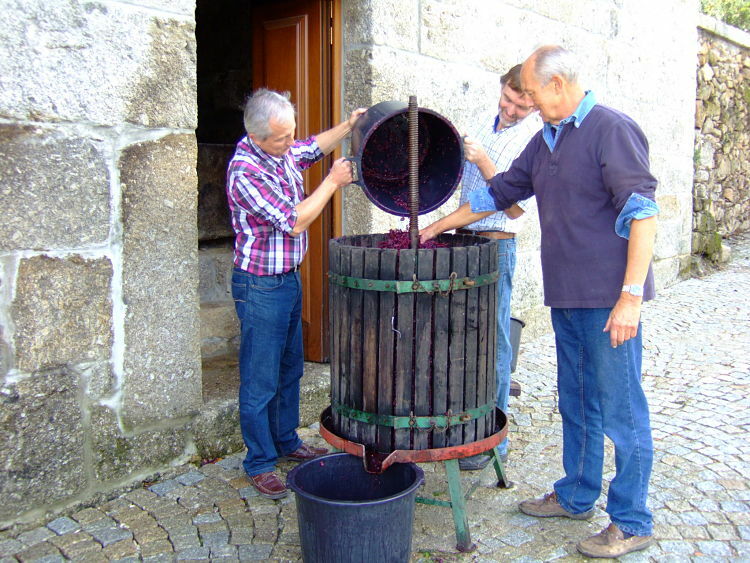 After the wine has been made the grape skins are pressed to extract the last of the juice. What remains is almost dry skins, these are bagged up and taken to a local still, where they are made into a spirit called aguardente. Below are some pictures of the pressing.